Natural and climatic conditions of the Khakassky Reserve’s mountain taiga areas are very diverse and should be studied as separate ecosystems. 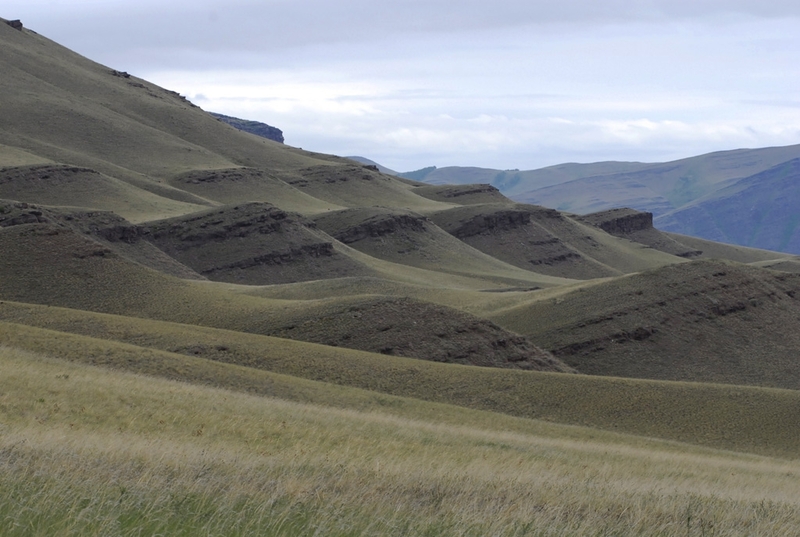 Hills, ridges, low mountains, and logs located in the steppe areas also deserve individual description. 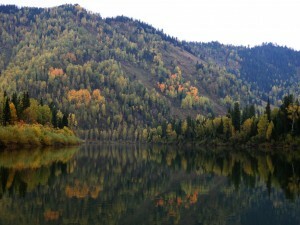 All steppe areas of the Khakassky Reserve are included into the composition of Altai-Sayan mountainous country and disposed within the scope of Minusinsk (or Nazarovo-Minusinsk) intermountain trough, which includes several self-contained troughs, separated by mountain ridge intersections. In point of geology the Minusinsk Hollow’s system represents an intermountain trough, elongated in the meridional direction; and it was first singled out by I.V. Luchinski (1957). When the lake hollows refer to synclinal folds, the relief stripes are opened to one or another side (Geology and minerals…, 1992). The erosive relief forms (valleys, ravines, gullies) are uneven and do not play an important role in land sculpture. The climate is acutely continental. The characteristic features of such climate are sharp fluctuations of not only the month temperature, but also the daily one. As a result of creation the series of water storage basins on the Enysei River the climate has become milder and closer to moderate continental one. Average monthly temperature in January is 18–21°С below zero, in July 19–20°С above zero. The minimum atmospheric temperature is 50–55°С below zero, maximum one is 35–40°С above zero. 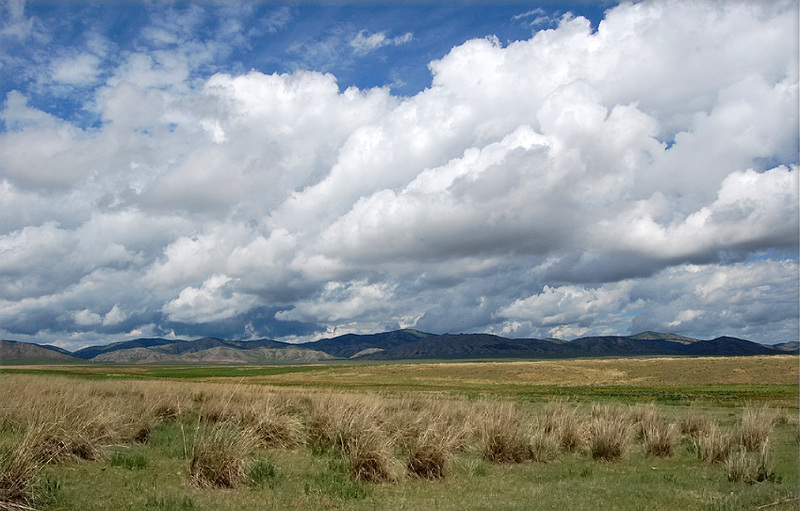 The total amount of precipitations is 250–350 mm per year (in forest-steppe this amount comes up to 500 mm) and they fall particularly in warm time of the year. 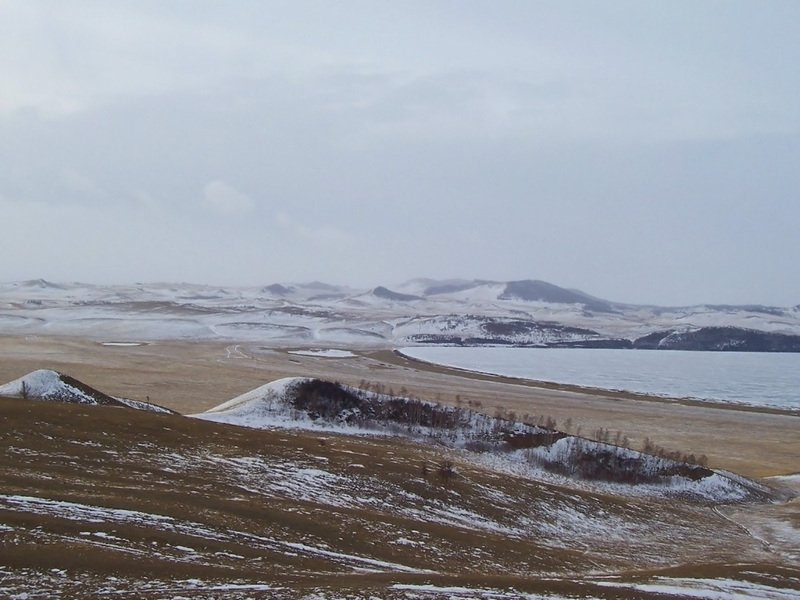 In winter the greater part of the steppe surface deprived of the snow cover, because of frequent winds, which blow into ravines and other leeward places. The frost-free season lasts 110–120 days. 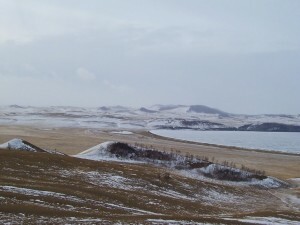 The Maly Abakan area, which is situated in 40 kilometers from Abaza town in medium- and high-mountain part of the northern macroslope of the Western Sayan Mountains, and the Zaimka Lykovykh area, which is in Tashtyp District of the Republic of Khakassia near the upstream of the Abakan River in 250 kilometers from Abaza town, are referred to the mountain taiga areas of the reserve. There can be singled out three main types of relief on this territory: alpine high-mountain, massive high-mountain and medium-mountain erosive ones. The alpine high-mountain relief is sharply partitioned; it spreads out on the ridges, exceeding 2000 m above-sea level and can be characterized by acute-angled mountain tops. The massive high-mountain relief occupies a considerable part of the Maly Abakan area; it spreads at a height of 1,600–2,000 m and can be characterized by plain mountain tops, gradual descents and little partition. Sometimes the northern slopes are steep and abrupt with outcrops. The medium-mountain relief comes up to 1700 m of height and can be characterized by the deep erosive partition, narrow valleys and steep slopes. The climate of mountain taiga areas is acutely continental; it is characterized by short summer period, long and cold winder period, over damp climate of cyclonic type. The average perennial atmospheric temperature is 0,1°С above zero. The coldest month is January (the average perennial atmospheric temperature is 17,6°С below zero). The warmest month is July (the temperature is 17,4°С above zero). The duration of frost-free season is 85–95 days per year. The total amount of precipitations is 800–1100 mm per year; they fall particularly in the summer months. 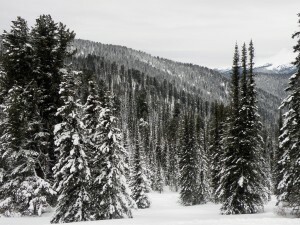 The height of the snow cover comes up to 0.8–1.5 meters. The peculiarities of the climate formation in the mountain areas are well-marked. The different slope expositions with different orientation towards the direction of dominating air-mass transport, alternation of ridges and plateaus with deep valleys and exclusive hollows, various allocation of vegetation around the territory—all this makes great originality in warmth and moisture distribution in mountain areas and significant mosaicity of the local climate conditions. The hydrographical system is well-developed and represented by numerous streams and small rivers. 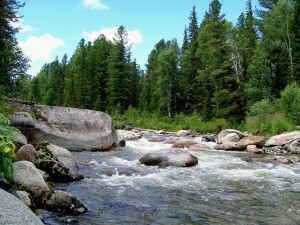 The greatest river is Maly Abakan River. Kayla, Otkyl, Tartash, Karasuma and Kabansug rivers are the small rivers. All the rivers have the mountain nature—their flow is disturbed and turbulent, they have a plenty of rapids, rifts and riffles. Their riverbeds and banks are full of pebbles and encumbered with stony blocks, boulders and wind-fallen trees. The last ones quite often form the obstruction of the riverbeds. In the high-mountain part the numerous small mountain tarns are situated. In mountain taiga areas of the reserve more than 10 types of soils are spread out: from mountain-tundra to mountain chestnut and alluvial ones. 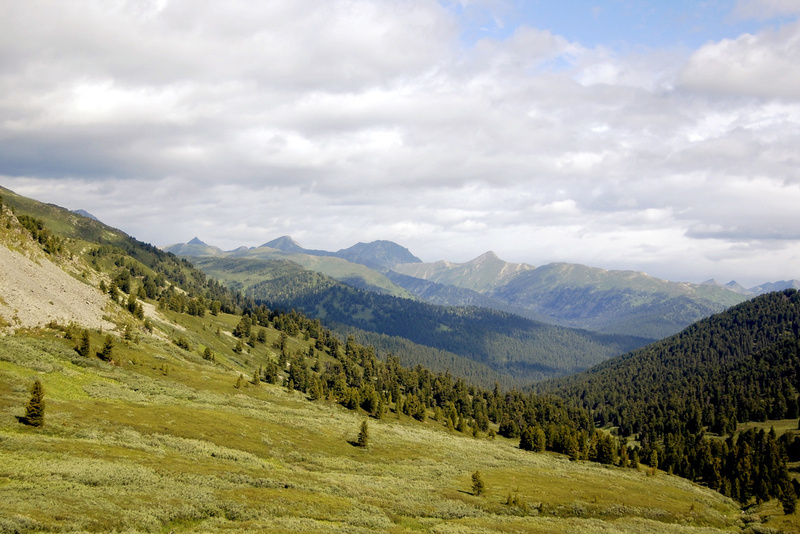 In forests (at a height of 700–1,500 m) the mountain forest and mountain sod-podzol soils are widespread, then they are replaced by mountain meadow soils in subalpine meadows. In the high-mountain area of the Western Sayan Mountains, disposed at above 1,500–1,800 m, the soils usually are unefficient and superficial gley (Tanzybaev, 1974). A wide areas of high mountains are occupied with stone and detritus slide-rocks of granites, slates, serpentinite with absent or underdeveloped process of soil formation in them. 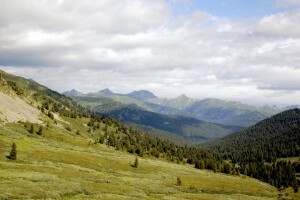 Northern slopes of the Western Sayan Mountains, which can be characterized by cyclonic climate, in subalpine zone are characterized by widespread subalpine forest meadow soils and considerably small territories with mountain tundra and peaty soils. In the alpine zone mountain tundra peaty and humus soils prevail; wide areas are occupied with primitive, fragmentary and mountain tundra sod soils. Mountain meadow alpine soils as a result of poor development of alpine meadows also occupy small territories. The most usual of them are alpine humus soils, the least—alpine sod and peaty gley soils (Krasnoborov, 1976). To the dark coniferous forest zone mountain podzolic soils are referred. There can be distinguished two subtypes of soils among mountain podzolic soils: mountain proper podzolic and mountain sod podzolic soils. 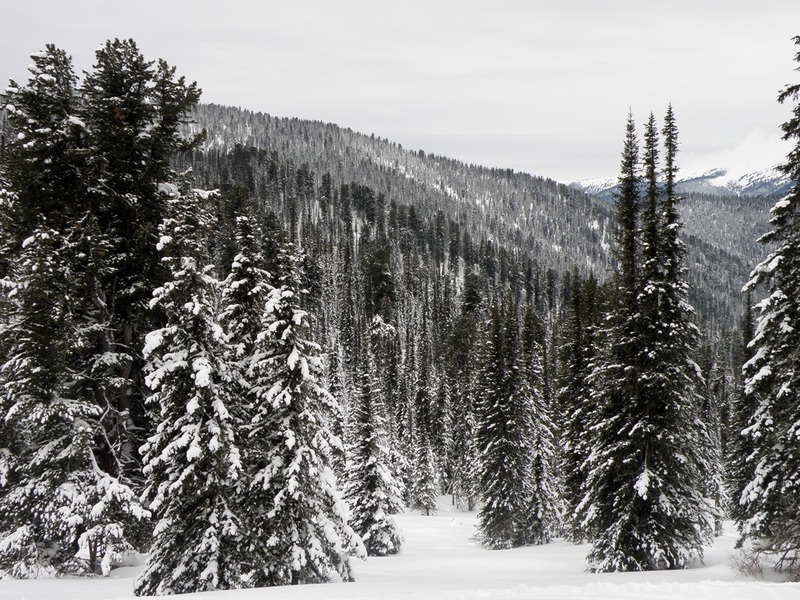 The mountain proper podzolic soils can be found in fir and fir-cedar Hylocomium and Hylocomium-fruticulose forests of the upper zone of dark coniferous taiga. The mountain sod podzolic soils are spread in dark coniferous gramineous forests (Tanzybaev, 1974).